DAVID LE/Staff Photo. 2/13/15. 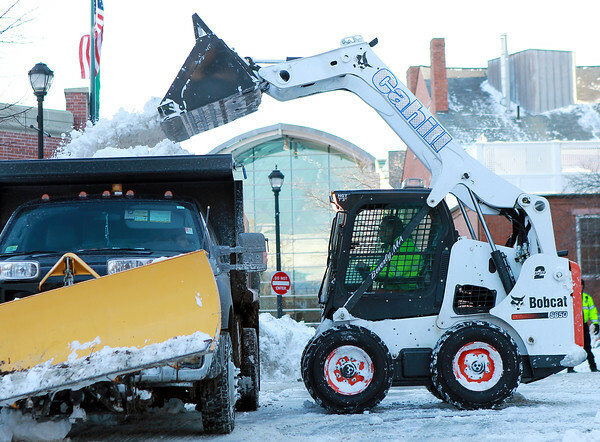 A worker from Cahill, a Beverly based company, uses a Bobcat to remove snow that was knocked off the roof of the Museum Place Garage, as snow removal efforts before Saturday's impending storm hits.